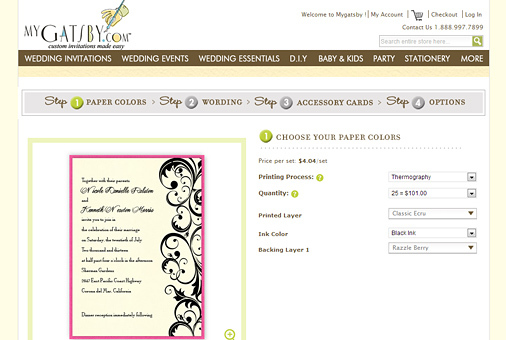 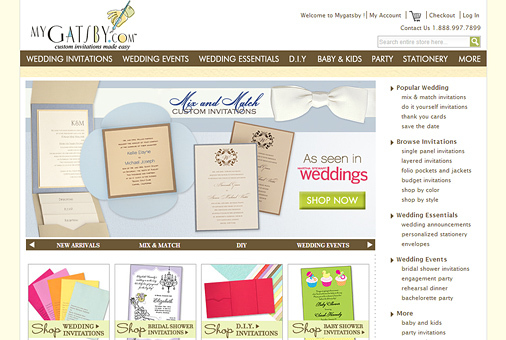 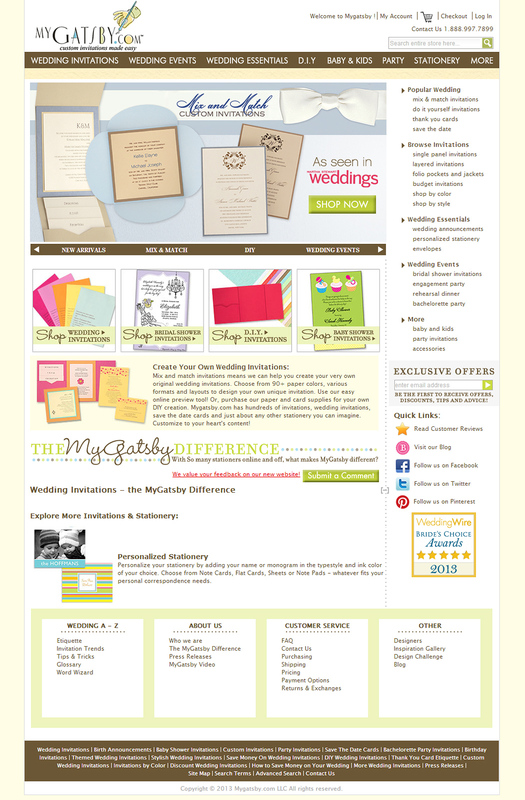 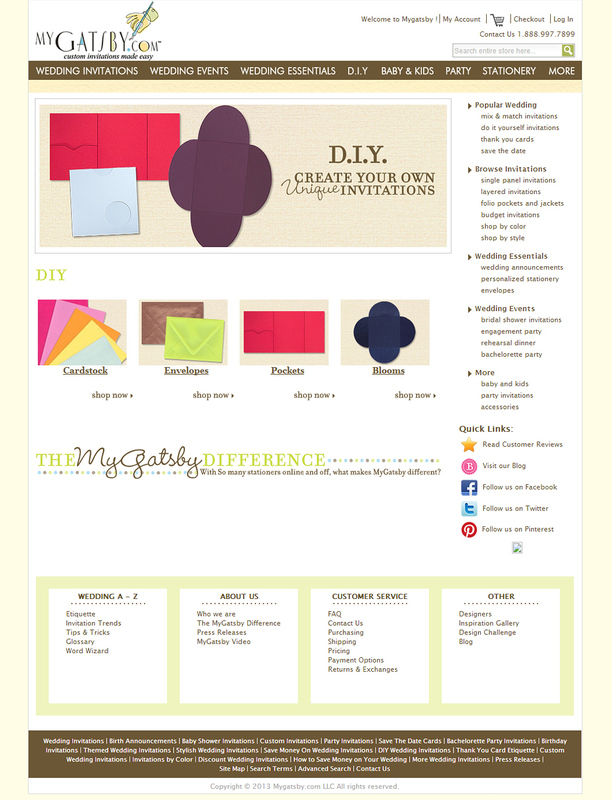 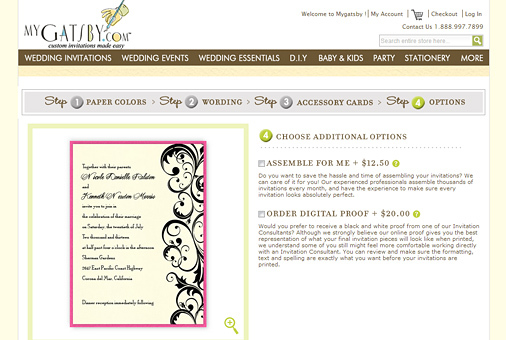 MyGatsby sells personlized wedding cards online. 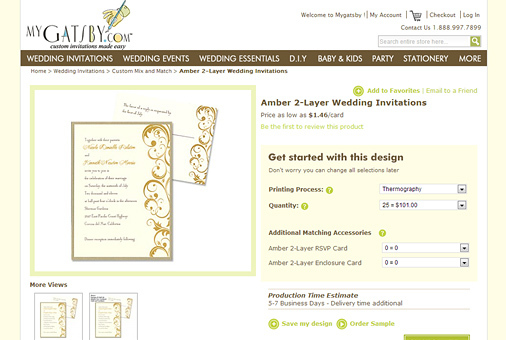 The problem is that their personalization process was overly complicated and didn't look good. 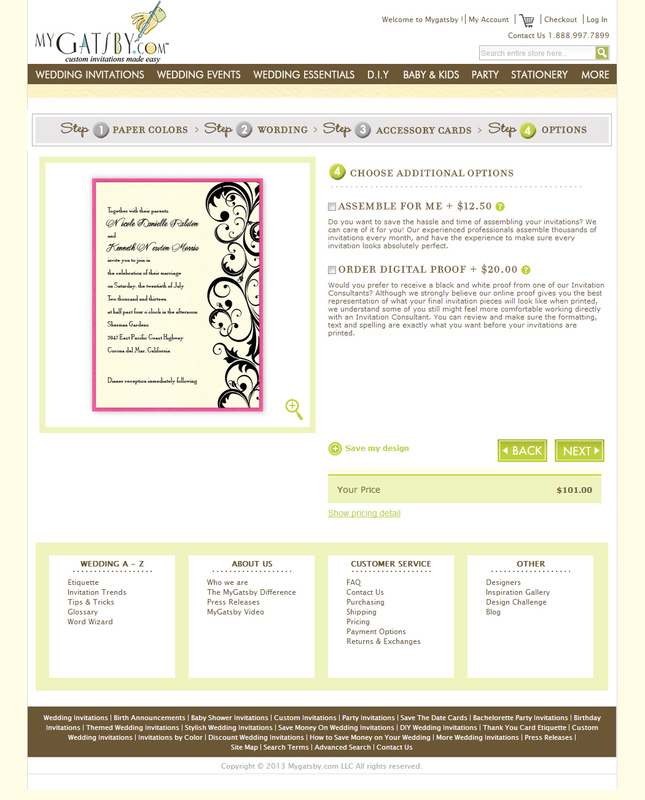 In addition because of the complicated nature of the cards it was very difficult to upload new cards. 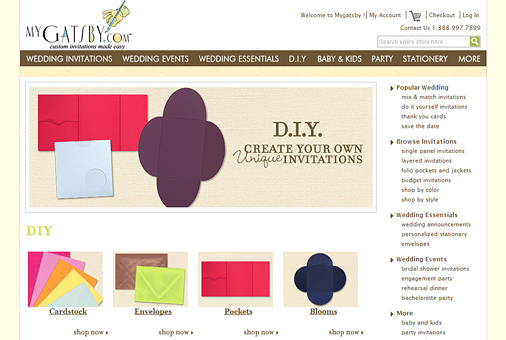 We research and developed a new e-commence system based on Magneto ecommerce and Adobe Scene7. 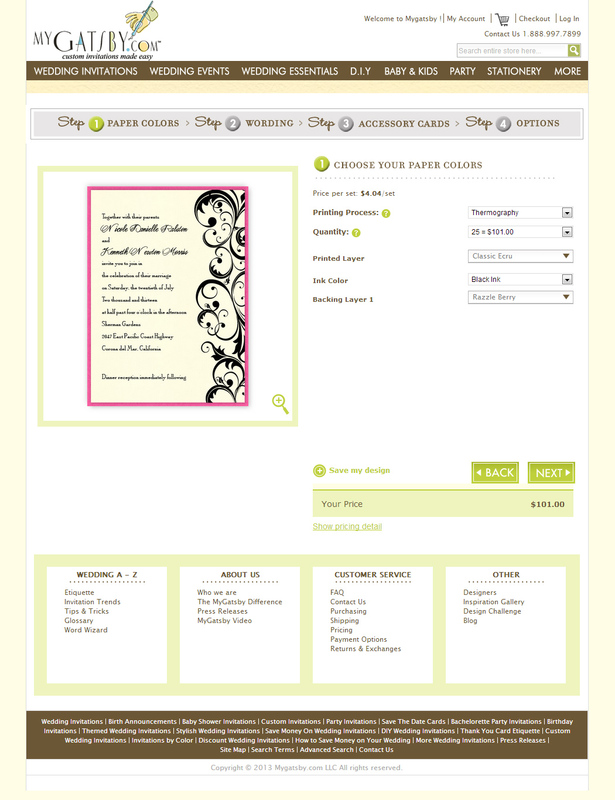 The new personalization process has made it easier for users to design the exact card they want and see it immediately. 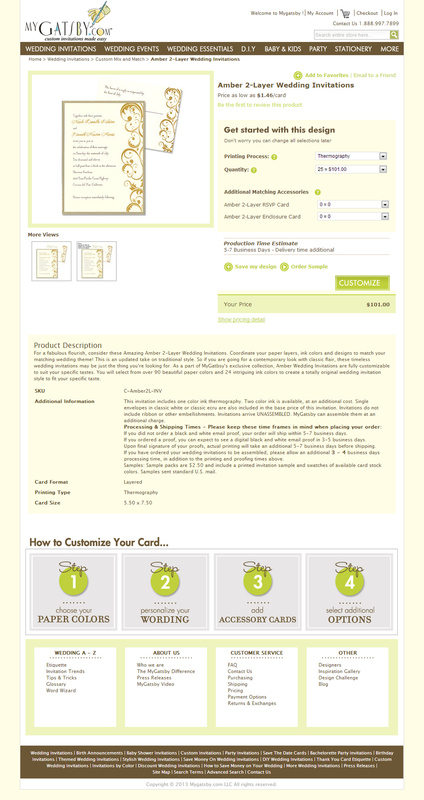 We also custom designed the product data structure to make it more flexible to meet the needs for their complex products and made it easier for them to manage the cards themselves.